260W series fits standard length 1/4" diameter elements. 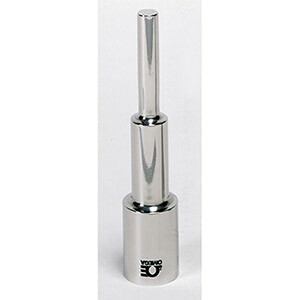 385W series fits standard length 3/8" diameter elements. 3/4" or 1" nominal pipe size welding shoulder fits ASA welding fittings, flanges, etc. Wells for larger pipe size fittings are available upon request. Carbon Steel (C-1018); A.I.S.I. 304 & A.I.S.I. 316 are standard. Other materials are available upon request. P Model No. Shank Dia.